Less than two months after the state’s new aid-in-dying measure went into effect, my sister used the law to obtain a lethal dose of drugs. “I’d rather be free than entombed in my body,” she told me. Last August, my sister Betsy asked if I knew anything about using Bitcoin, a form of virtual currency. It took me awhile to realize why she was asking: She wanted to buy a lethal amount of drugs and she didn’t want the purchase to be traceable. 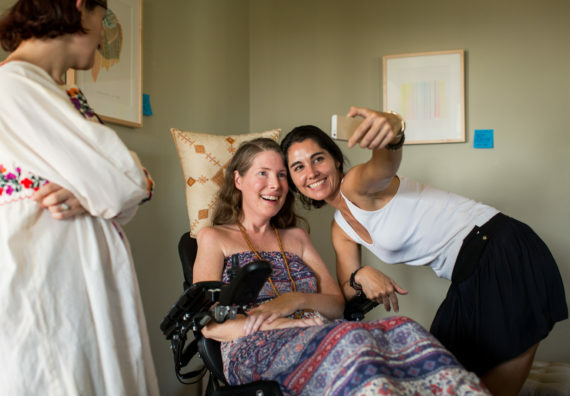 A beautiful, outgoing, talented artist, Betsy was diagnosed with ALS in July 2013. It’s a cruel disease that slowly robs a person of the ability to move, speak, eat and, eventually, breathe. There is no treatment, let alone a cure, and there likely won’t be for several years. Early on, she knew she’d rather take her own life than succumb to a disease that kills most of its patients through suffocation. Some ALS patients use ventilators and feeding tubes to prolong their lives, but that’s not what my sister wanted. Over the last year, I watched her increasingly struggle to eat and speak and do the simple things the rest of us take for granted, like scratch an itch or brush a stray hair from her eyes. No longer able to walk, she spent most of the day in bed. A month before she asked me about Bitcoin, an aid-in-dying bill had stalled in the state Assembly’s health committee. Three of the six committee members, under pressure from the Catholic Church, and despite having watched parents die from a terminal illness, refused to support it. The law didn’t take effect until June 9 this year, but my sister was willing to wait so she could end her life safely and legally. In early July, Betsy emailed her closest friends and family, inviting them to her house in Ojai for a two-day celebration. More than 30 people showed up to help send Betsy on what she referred to as her next “great adventure.” We ate pizza and tamales. There was music, booze and lots of photos. Under her guidance, I’d put sticky notes next to items around the house, explaining their significance. She invited everyone to “take a Betsy souvenir” to remember her. At around 6:30 p.m. Sunday, July 24, all three of her truly incredible caregivers helped her change into a kimono she’d bought in Japan. A family friend drove her in his new Tesla up a hillside next to the house, where we’d placed a white canopy and a makeshift bed. She wanted to fall asleep as the sun was setting. 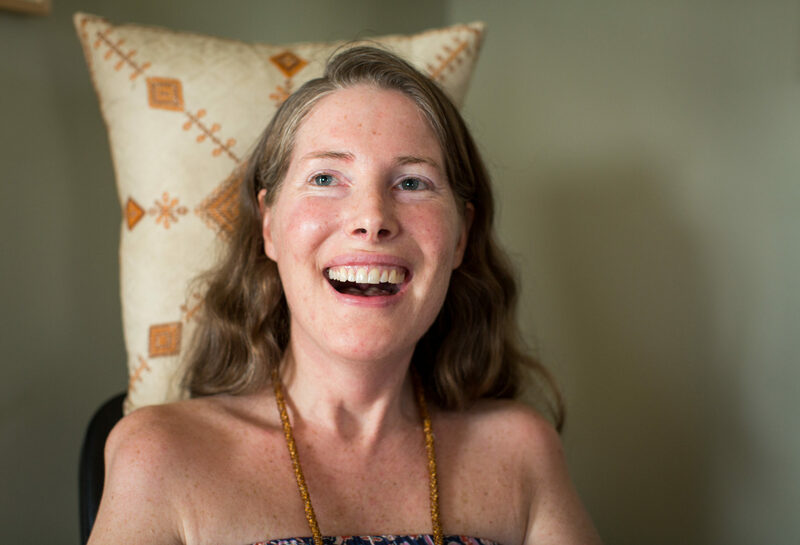 My sister is an example of exactly what the law intended to do: allow a dying young woman the ability to assert control over the chaos and uncertainty of terminal illness. She turned death into a reason to celebrate, and she was there to enjoy the party. Opponents of the aid-in-dying law have argued there’s potential for abuse: that chronically ill people could be coerced or compelled to take their own lives so they’re no longer a burden. But the law has safeguards to ensure that doesn’t happen. I encourage anyone who doubts this to read the California Medical Association’s guidelines for physicians treating patients who want to use the law. After following my sister through the process, I almost want to say the law’s requirements are overly cautious, yet I understand why that caution’s necessary. Opponents have also told stories of miraculous recoveries: During last September’s Assembly vote, one lawmaker talked about her son, who came down with an infection and was put on life support. Doctors told her there was no hope, yet he ultimately recovered. She offered this as proof that a doctor’s opinion can’t always be trusted. Yet a case like that lawmaker’s son’s wouldn’t meet the law’s criteria. Patients must be able to make their own medical decisions. There are multiple safeguards in place to ensure the decision is voluntary and the patient’s illness is terminal. No one can simply go to a doctor and request a prescription for a lethal amount of medication. And if someone wants to fight to the very end, that’s a personal choice. Both paths are equally brave. Even with the law now in place, there were still some logistical hurdles. Seconal, the drug Betsy’s doctor recommended — kind of the aid-in-dying gold standard — wasn’t available. We were given different reasons why, depending on which pharmacy we called — that it was backordered for three months, or that it was so infrequently prescribed, a pharmacist who filled a prescription for the necessary 100 pills would attract unwanted attention from the DEA. Since Betsy’s death, I’ve spoken to Kat West, national policy director for Compassion & Choices, a group that advocates for aid-in-dying laws. She told me that anyone unable to obtain Seconal should ask their pharmacist to call Compassion & Choices Pharmacist2Pharmacist line and they will help them find it. Instead, Betsy was prescribed a combination of morphine, pentobarbital and chloral hydrate — not ideal, but we did our best to mask the taste with coconut milk, sugar and a little salt. She took the medication at around 6:45 p.m. and within a few minutes, slipped into a coma. Four hours later, she peacefully departed for her next adventure.